Plum-blossom Quan is one of excellent routines of traditional Shaolin Wushu. Actions of this routine are decent, with integral structure and distinctive style. When performed or practiced, thrust in the front and strike at the back, jump from the left and fall to the right; the actions heave and set, being most changeful, and postures are interlinked. 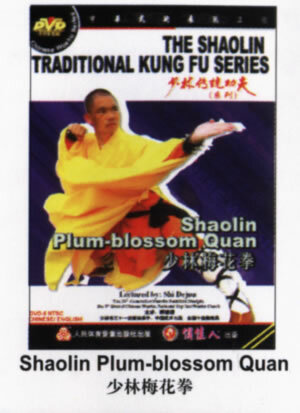 Because this routine looks like the shape of plum blossom, thus it is named plum-blossom quan, which is suitable for the person who has certain wushu base to perform or practise.